After a full spring and summer of gardening, garden tools can get misplaced or heaped into a disorganized pile. The next time you need to find a tool you’ll feel like one of those people in an infomercial struggling to find what you need. 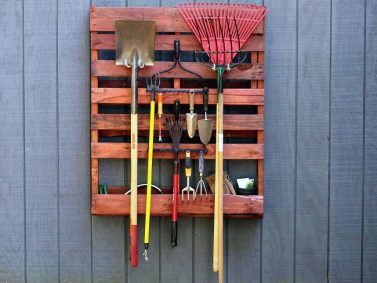 These garden tool storage hacks will keep your space organized and your shed/garage clear of clutter. Pallets are easy to find and usually free if you look hard enough and this DIY tool hanger is a cheap and quick solution. Before you begin attaching the rake heads and anchor bolts, if you want to make a bottom shelf for small things like gloves, detach the second slat from the bottom with a crow bar and attach that slat to the bottom of the pallet with nails. This will make a small cubby and will become the bottom of the pallet. If you want to stain or paint your pallet, do this now before drilling any holes. Measure where you would like your anchor bolts to be placed making sure that they are placed in pairs. Measure from the top around 14” down (you might need to adjust this number for your specific pallet) and 9” in from both sides. Place another measurement at 12” in from both sides. This will make it so each of your anchor bolts will be in pairs with 3” between them. They’ll be for holding long handled tools like shovels. Drill a ½” hole in each of your measurement marks and attach the anchor bolts with the nuts and washers. Use a wrench to tighten and secure them. For the bow rake heads, if there are not already holes on the handle, you’ll want to drill ¼” holes so that you can mount them. Place the bow rake heads in the center of the pallet at 20” down from the top and 32” down from the top (adjust these measurements as necessary) with the tines facing up and attach to the pallet using deck screws. The screws will need to be long enough to go all the way through the rake handle and be able to reach the wood. You can use these to hang small tools like trowels. Once you have your pallet the way you want it, find a large enough wall and high enough up off the ground to be able to hang your taller tools from it. Use a level and screws to attach it to your wall. Hang up your larger tools on the anchor bolts, smaller ones from the tines of the rake, and the smaller tools that can’t be hung up can go in the cubby at the bottom. If you have some PVC pipe leftover from a previous project, this might be the garden hack for you. First step is to count how many tools you need to organize. This will help you determine how long of a PVC pipe you need and how many cuts you need to make. You’ll want 2, 6” pieces of pipe per tool or 1 big 12” piece of pipe per tool. This is just a matter of preference. If you’re wanting to have an easier time attaching the pipe to your piece of wood, you can cut ~30-degree angles on both ends of your pipe pieces. Sand off all the plastic shreds left behind by cutting. Drill 2 holes, one near each end of your pipe pieces, that coordinate with your desired screw size. If you already have a wood surface to attach your pieces, too, you can skip forward. If you don’t, this is where the plywood piece comes in handy. Using studs in your shed/garage/etc screw your piece of plywood to the studs so you have a sturdy base to attach your pipe holders to. Using wood screws, attach the PVC pipe pieces to your wood surface. One pipe piece should go near the bottom and one further up, at about the middle point of your tallest tool. When you put your tools in the PVC pipes, they should be able to touch the floor and be held in place by your new PVC pipe holders. This last step is optional but has that extra organizational step. Place pieces of duct tape on your PVC pipe pieces and, using a sharpie, label each one with a different tool. Place the tools in their respective holder and you’re finished! What’s the best way you’ve found to store your garden tools? 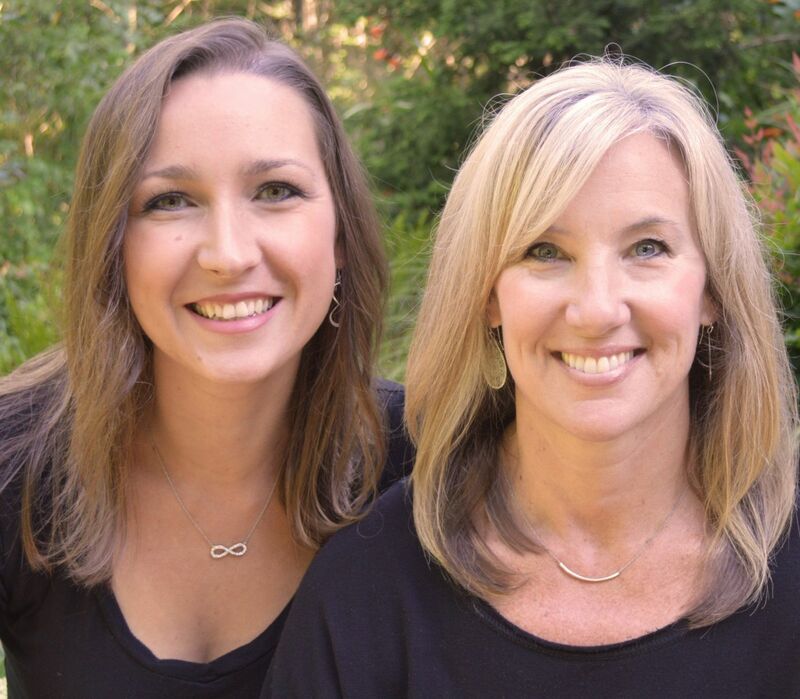 Let us know in the comments, we’d love to hear from you! 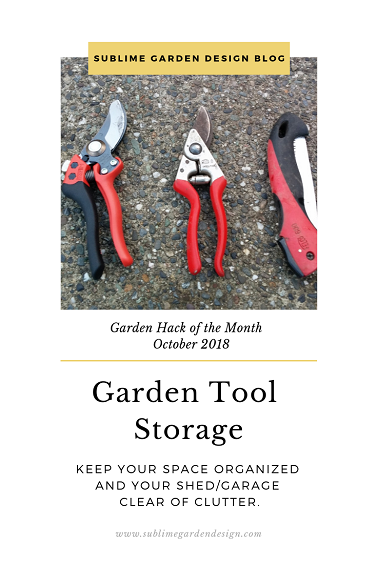 Organized under Garden Hack of the Month, Garden Maintenance, Garden Tips & Advice, Gardening Tools, Trends. 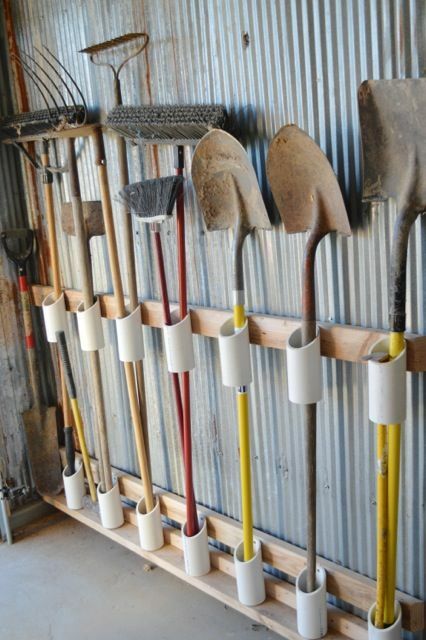 Labeled as best way to store garden tools, garden hack, garden hack of the month, garden tool storage, garden tools, how to store garden tools, organize garden tools, pallet wall storage, pvc pipe projects, pvc pipe storage, recycled pallet projects, tool storage.